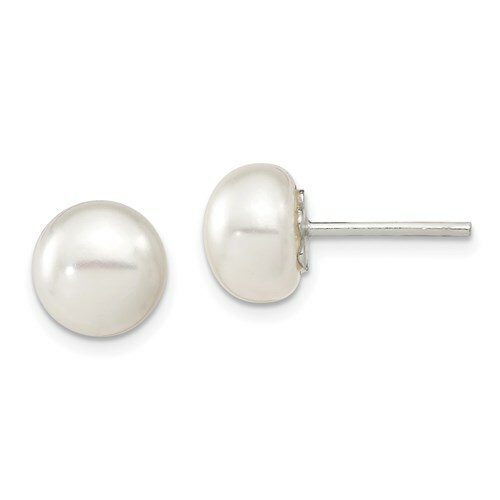 Sterling silver white freshwater cultured pearl button earrings have friction backs. Diameter: 9 to 9.5mm. Weight: 2.55 grams. Measures 5/16 inch wide.